Our advanced On-Camera Scene Study class is a workout for the serious + experienced actor. Actors will workshop scenes that will challenge them to strive for a deeper, more complex understanding of their characters + their behavior, with the goal of becoming stronger, more confident storytellers. Actors will perform and take direction each week with the focus on rehearsal and collaboration, not instruction. Professional Film/TV/Theatre experience required. PREREQ:Prepare a 2-3 minute monologue or scene from TV, film or theater for audition purposes. Applicants: Register for a 15 minute audition time slot here. Register early to guarantee your spot. If you would like to schedule an observation audit (link below), we encourage doing so early; as the class is quick to fill. Joe’s next Advanced Adult class will start March 24. Joe is from Newnan, Georgia. In 2008, he graduated from Valdosta State University with a B.F.A. in Theatre Arts Performance, and he has worked as an actor, improviser, voice-over performer, and writer. 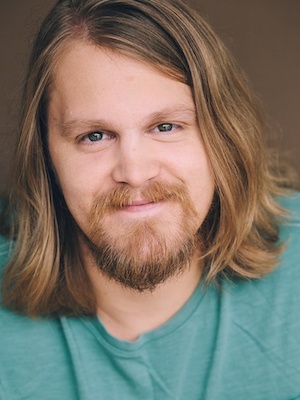 Joe trained at the Aquila Morong Studio for Actors, specializing in the Stella Adler and Sanford Meisner acting techniques, and has also been a teacher and coach since 2016. Catch Joe on projects such as Trouble with the Curve, The Resident, Halt and Catch Fire, Nashville, NCIS: New Orleans, and Hart of Dixie.